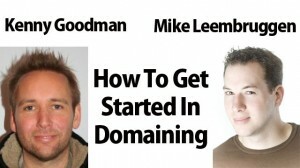 Domaining is something that is becoming a hot topic among online entrepreneurs. Not just internet marketers, but big corporate enterprises as they are noticing a huge trend toward the online sector. 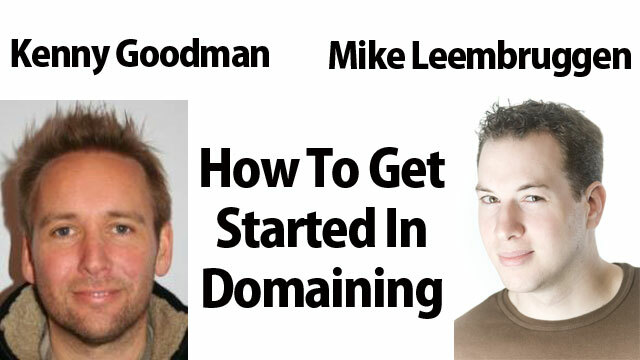 One of the “go to” guys when it comes to domaining is Kenny Goodman. I managed to jump on a call with Kenny and interview him on exactly what he sees as the future of domaining and how he has managed to build a solid business through lead brokering and buying aged domains. If you’re not familiar with the term “domaining”. It’s simply the acquisition of multiple domains. You can either “park” those domains or develop them into content sites, or as Kenny points out on this call, you can get really creative and do things like lease options on your domains. This definitely takes things to a whole new level, and some of the concepts Kenny alludes to on this call are absolutely fascinating. Some of the things Kenny talks about on this call, I have never heard before, and it’s always a refreshing change to hear real world business strategies applied to online marketing and website development rather than the typical gimmicky stuff about making thousands of dollars overnight through the latest spam technique. This is big business, and has the potential for huge paydays in the corporate market. I also get Kenny to run through his latest online software called DomainFace. I must admit, when I first started using this software I was a bit lost, because if you don’t know what to look for when finding an aged domain then all the stats don’t really mean much. So, on this call I got Kenny to run me through exactly what criteria he looks for when searching for an aged domain, and that has made a huge difference for me. I’m sure it will make a huge difference for you too. I hope you get as much out of this call as I did, and please leave your comments below to let me know if you enjoyed the content.